(SPOT.ph) With the constant threat against our tourist destinations and local biodiversity, it is now more important than ever to make an extra effort in protecting our environment. 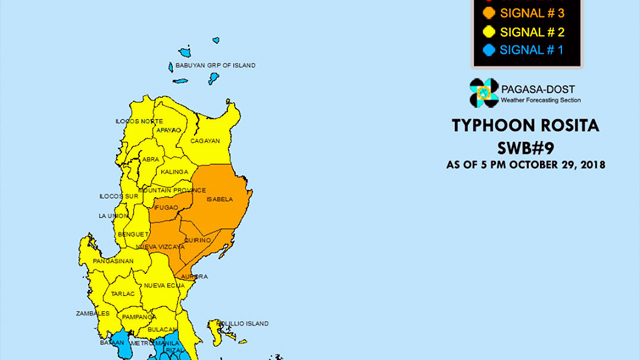 We don't want another Boracay, do we? Unfortunately, the Philippines is the world's third largest source of plastic leaking into the ocean; and we could get the top rank—for all the wrong reasons—if we don't start acting now. So why not start this (very) long weekend and have a zero-waste undas wherever you are. 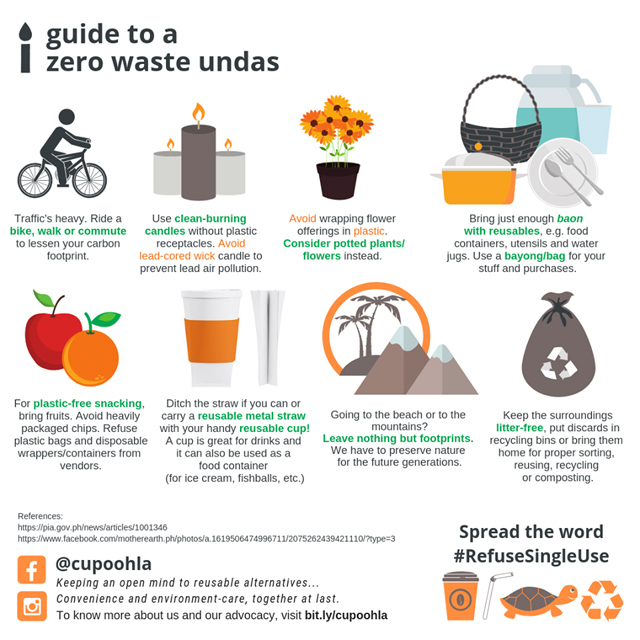 Cupoohla, a local brand that sells foldable and collapsible cups, rounded up easy tips for an eco-friendly holiday. Ride a bike, walk, or commute to lessen your carbon footprint. Use clean-burning candles without plastic receptacles. Avoid wrapping flower offerings in plastic. 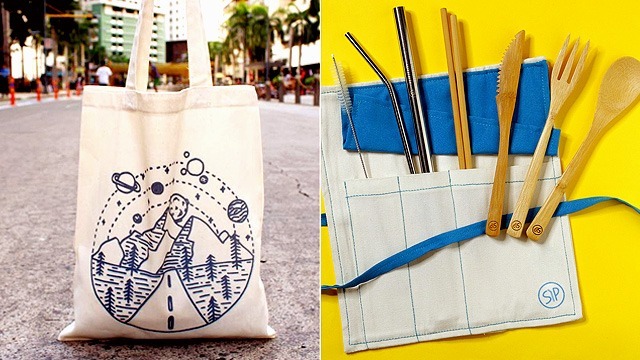 Bring just enough baon with reusables. Use a bayong or bag for your things. Ditch the straw if you can or carry a reusable metal straw. Use a handy reusable cup. It's not only great for drinks, but also as container for food like ice cream and fishballs. Going hiking? Heading to the beach? Leave nothing but footprints.